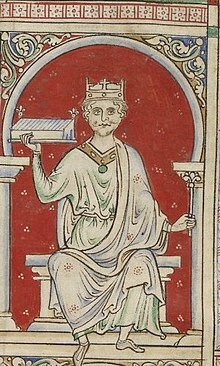 Robert Curthose, sometimes called Robert II, succeeded his father, William the Conqueror as Duke of Normandy in 1087 and reigned until 1106. Robert was also an unsuccessful claimant to the throne of the Kingdom of England. 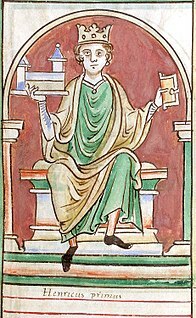 The epithet "Curthose" had its origins in the Norman French word courtheuse "short stockings" and was apparently derived from a nickname given to Robert by his father; the chroniclers William of Malmesbury and Orderic Vitalis reported that William the Conqueror had derisively called Robert brevis-ocrea. Ralph d'Escures was a medieval Abbot of Séez, Bishop of Rochester and then Archbishop of Canterbury. He studied at the school at the Abbey of Bec. In 1079 he entered the abbey of St Martin at Séez, and became abbot there in 1091. He was a friend of both Anselm of Canterbury and Gundulf, Bishop of Rochester, whose see, or bishopric, he took over on Gundulf's death. William de St-Calais was a medieval Norman monk, abbot of the abbey of Saint-Vincent in Le Mans in Maine, who was nominated by King William I of England as Bishop of Durham in 1080. During his term as bishop, St-Calais replaced the canons of his cathedral chapter with monks, and began the construction of Durham Cathedral. In addition to his ecclesiastical duties, he served as a commissioner for the Domesday Book. 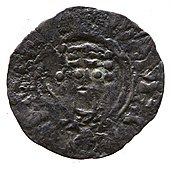 He was also a councilor and advisor to both King William I and his son, King William II, known as William Rufus. Following William Rufus' accession to the throne in 1087, St-Calais is considered by scholars to have been the new king's chief advisor. Thomas of Bayeux was Archbishop of York from 1070 until 1100. He was educated at Liège and became a royal chaplain to Duke William of Normandy, who later became King William I of England. After the Norman Conquest, the king nominated Thomas to succeed Ealdred as Archbishop of York. After Thomas' election, Lanfranc, Archbishop of Canterbury, demanded an oath from Thomas to obey him and any future Archbishops of Canterbury; this was part of Lanfranc's claim that Canterbury was the primary bishopric, and its holder the head of the English Church. Thomas countered that York had never made such an oath. As a result, Lanfranc refused to consecrate him. The King eventually persuaded Thomas to submit, but Thomas and Lanfranc continued to clash over ecclesiastical issues, including the primacy of Canterbury, which dioceses belonged to the province of York, and the question of how York's obedience to Canterbury would be expressed. Hervey le Breton was a Breton cleric who became Bishop of Bangor in Wales and later Bishop of Ely in England. Appointed to Bangor by King William II of England, when the Normans were advancing into Wales, Hervey was unable to remain in his diocese when the Welsh began to drive the Normans back from their recent conquests. Hervey's behaviour towards the Welsh seems to have contributed to his expulsion from his see. Although the new king, Henry I wished to translate Hervey to the see of Lisieux in Normandy, it was unsuccessful.